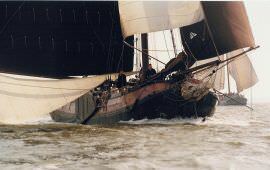 Tjalk Spes Mea - Boat rental? 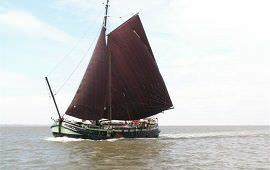 The Spes Mea is a seafaring tjalk, publicly available for, among others, group sailing trips on the Wadden Seas and the Lake IJssel. 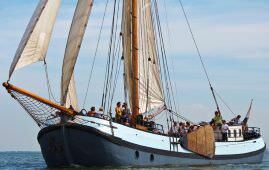 The ship is available to rent for an unforgettable sailing trip to, for example, the isles of Friesland, with no sailing experience whatsoever required. 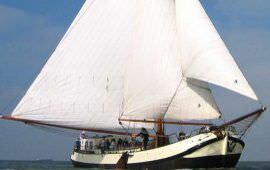 The skipper and mate will ease you in and familiarize you with the vessel. 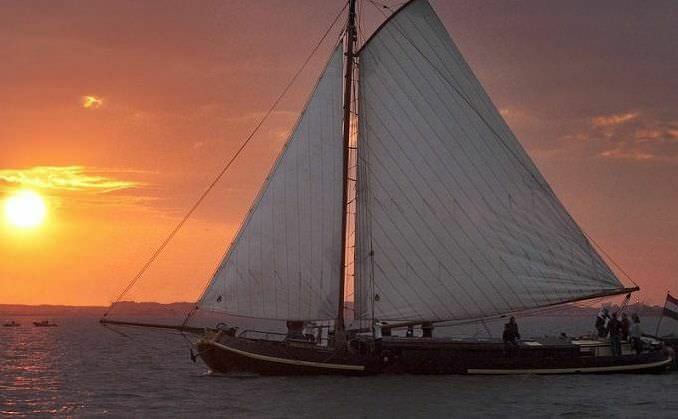 Below deck feature excellent accomodations for any group consisting of up to 20 people. 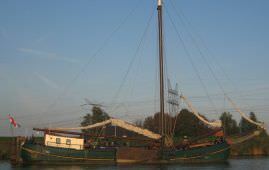 This flat-bottomed sailing ship, part of the so-called ''Bruine Vloot'' (The Brown Fleet), is popularly used by many for sailing trips to the Wadden Isles and the Lake IJssel cities during their holidays. 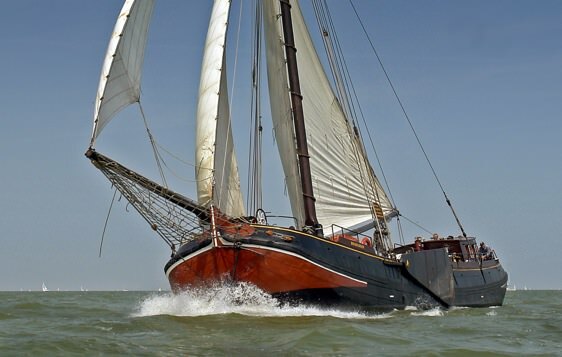 The ship can be rented out for a 7-day period, a midweek sailing trip, a weekend sailing trip or a one day trip, setting sail from its home port of Harlingen. The Spes Mea is highly suitable for anny work trips, school trips, staff outings or family outings you may desire. ** ** Rates may be incorrect due to errors and price changes. Do you want to know if this boat is available? Then please fill in the form at the top-left! 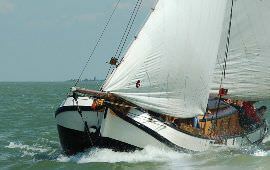 We'll check the ships availability and make you an offer. Do you have any special needs? Fill them in at the 'comments' section. Please note this is a non-binding information request. You are not obliged to buy anything!